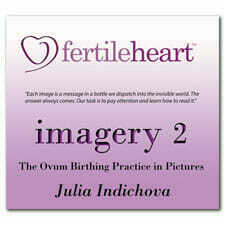 The first seven imaginal sequences intend to clarify the OVUM practice and shift our view of the challenges we face. The next two sequences are about transforming difficult feelings (Anger, Jealousy, Grief, Shame) into a source of strength. The next five imaginal sequences are focused on creating a conception-friendly inner and outer environment through taking a closer look at our relationships with the people in our lives, our relationship to work and food. The next five sequences are centered around specific physical impediments. They can be modified to use with anything that needs attention on a physical level. 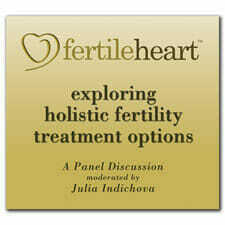 The concept of the holy human love as discussed in the Introduction and The Fertile Female makes it clear that emotional work affects biochemical and physiological changes in our bodies, and vice versa, changes in physical reality alter our feelings, and suddenly we are choosing to live a whole different story. 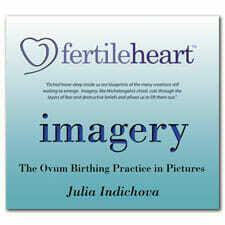 The intention of this sequence of images is to heal the pain of miscarriages, letting go of fear and receiving each emerging life as guidance toward a joyful full term pregnancy and healthy birth. 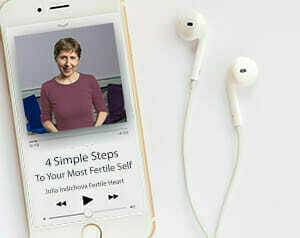 The last ten sequences are centered around accessing guidance of the Ultimate Mom and around the teaching that each of us comes into the world to heal something in our family line and in the larger community of the human family. 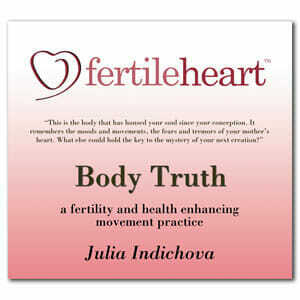 Copyright ©2010-2018 Julia Indichova and FertileHeart.com All rights reserved.